An optional Early Start program of Intensive Spanish Language and Culture Preparation is available with each program. This program is designed for students with an Intermediate, Advanced and Superior level of Spanish who wish to take electives in subjects including Spanish, art history, history, literature, sociology and economics. The majority of courses are taught in Spanish apart from a small number which are taught in English. Early start students with an Advanced/Superior language level can choose to take 1 or 2 semester courses from the Integrated Studies Program. Permission to enroll in these classes can only be granted once on campus after an interview. Students can choose up to 5 courses. All courses are taught in English except one and Spanish is not required. This program is intended for students who wish to focus their studies on business, economics, marketing, finance and international relations. Students with an Intermediate and above level of Spanish can choose to take courses in Spanish from the Spanish and International Studies Program. Early start students with an Advanced/Superior language level can choose to take 1 or 2 semester courses from the Integrated Studies Program. Permission to enroll in these classes can only be granted once on campus after an interview. Students can choose up to 5 courses. All courses are taught in English except for one course (Health Communication) which is available in English or Spanish. Spanish is therefore not a requirement. This program is intended for students of health sciences: medicine, nursing, health management, pharmacology, or biology. Students can choose up to 5 courses; a minimum of 2 and a maximum of 4 must be from the Health and Medical Program. Early start students with an Advanced/Superior language level can choose to take 1 or 2 semester courses from the Integrated Studies Program. Permission to enroll in these classes can only be granted once on campus after an interview. Students with an Intermediate and above level of Spanish can choose to take courses in Spanish from the Spanish and International Studies Program. Students with an excellent command of Spanish have the opportunity to study in classes alongside Spaniards. Available to students with Superior level Spanish this program offers a complete immersion study abroad experience. Choose up to 5 electives combining integrated courses with courses from the Spanish and International Studies Program, subject to course scheduling. Students can choose from over 900 different classes in fields including art, economics, history and politics, linguistics, Spanish literature, psychology and sociology. You can only be approved to take these classes once on campus and are therefore advised to choose an alternative program until approval is granted. Please note that the Early Start Program is mandatory for students wishing to take Integrated Studies in order to fully prepare you for the semester. Give your Spanish skills a head-start and earn an extra 3 credits by choosing the Early Start option. 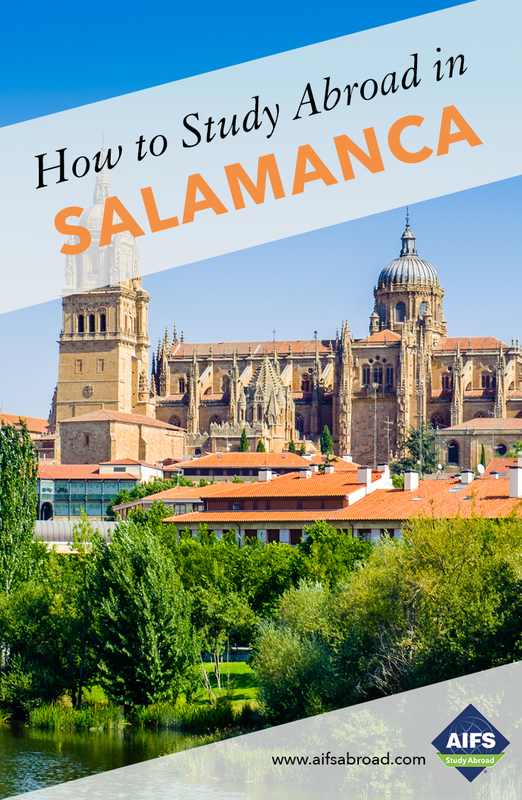 Students taking this option will arrive in Salamanca before the semester begins and take two weeks of intensive Spanish language class focusing on grammar and conversation. All levels of Spanish are available from Elementary through Superior. The course gives you the opportunity to make a gradual adjustment to academic life and living in Spain and prepares you for the semester placement exam. Early Start students in the fall can also participate in an optional 4-day excursion to Seville, Córdoba and Granada (In the spring this is available to all students). The fee for the Early Start option includes housing in a double room in a homestay with 3 meals per day. The University of Salamanca was founded in 1218 and celebrated its 800th anniversary in 2018, making it one of the oldest public universities in Europe. It is recognized as the best university in Spain for the teaching of Spanish as a second language reflecting the region’s reputation as the source of the purest form of Castilian Spanish.